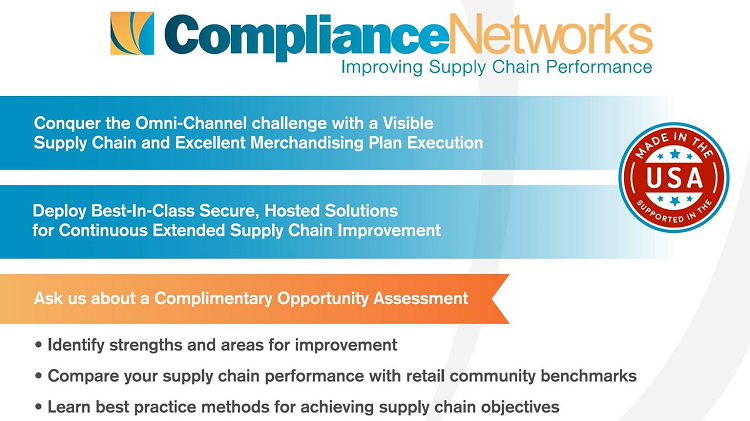 Compliance Networks announces rCMS Foundation, the latest in vendor compliance solutions for retailers. rCMS Foundation provides on-demand vendor compliance solutions that retailers can have implemented in 30 days or less. Compliance Networks, the leading provider of profit recovery solutions since 1999, now offers a phase one approach to vendor compliance optimization. Retailers can implement Foundation in 30 days or less to streamline their supply chain operations through the elimination or recovery of avoidable supply chain costs. Today, retailers are capturing this data in PC-based spreadsheets and databases. In 30 days or less, we will get that data off the desktops and consolidate it, automate charge calculations and processing, and provide meaningful visibility for the extended retail supply chain.